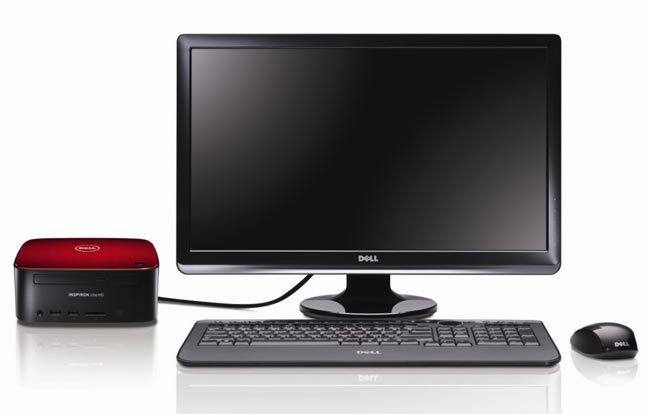 Dell has updated their Zino HD desktop PC, which is designed to be used as a home theater PC. The new Dell Zino HD, comes with faster processors, faster memory and better graphics than the previous model. The base model Zino HD comes with a 2.3GHz AMD Athlon II V1450 single core prorcessor, plus ATI Mobility Radeon HD 4250 integrated graphics, a 250GB hard drive, 2GB of DDR3 RAM and a DVD burner. It comes with Microsoft Windows 7 Home Premium 64 bit, and comes bundled with a USB mouse and keyboard. There are also a number of upgrade options which include dual core processors, an AMD HD 5450 1GB graphics card, and Windows 7 professional. Other specifications on the Dell Inspiron Zino HD include HDI, VGA, Ethernet, USB, eSATA, and 7.1 channel audio, and a microphone and headphone port. Prices start at $299 and it is available now from Dell.